As “Let’s get it started” by the Black Eyed Peas is played over the speakers, 15 enthusiastic volunteers begin dancing on stage. CDRC 2018 in Vienna has officially begun. 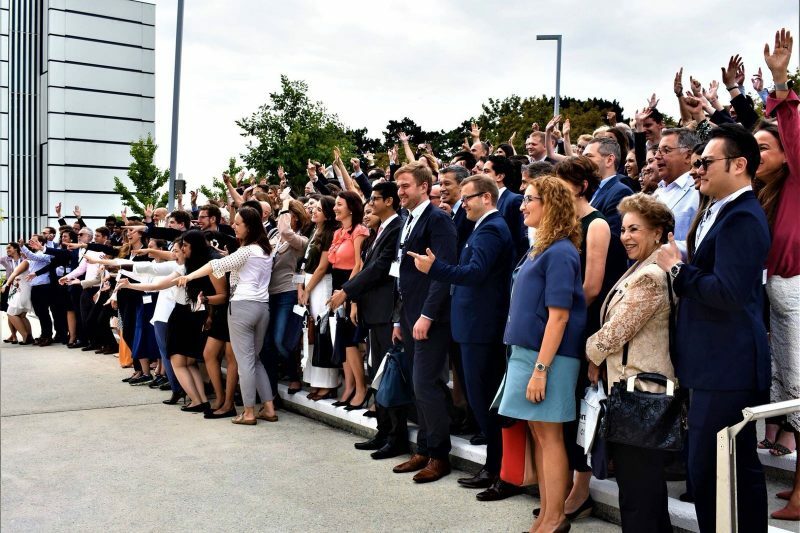 It is the fourth year in which bright young students from the alternative dispute resolution field gather from across the globe to compete in simulated legal negotiations. And for many this is not their first trip. They are supported by coaches and scored by some of the leading experts in the field. The cases are negotiated between the students and are facilitated by a student mediator. In the end, one negotiator or a team of negotiators, and one mediator will stand victorious. However, this first day of the competition is more relaxed. Claudia Winkler, director and founder of the CDRC, concluded the opening ceremony with helpful advice on the procedures of the coming days. Throughout the week, students and experts will engage in workshops to hone their skills. Among them were ‘Mediator Presence’, ‘Coping with Cultural Differences in a Mediation Setting’, and ‘Communication and Persuasion Techniques’ which were also attended by IMI representatives. Catherine Davidson and Greg Bond facilitated the ‘Mediator Presence’ workshop which aimed to teach the mediation students to rely on themselves during a session. Highlighting the importance of self-reflection, the facilitators asked the students to find their strengths, how they demonstrate these strengths, and how they may be helpful. To address different situations in a mediation session, the two facilitators then talked about the STAR method. Assessing the Situation, the Task at hand, and the appropriate Action to achieve the needed Result. With confident faces, the students went on their way after the conclusion of the workshop. Ultimately, everyone settled for a great barbecue and heaps of interesting conversations in front of the University’s beautiful library building as the first day of this year’s CDRC came to a close.